A pinky purple highlighter is one of my favorites, so when I discovered that I like that last year, I bought quite a few to try to see which one is my favorite. 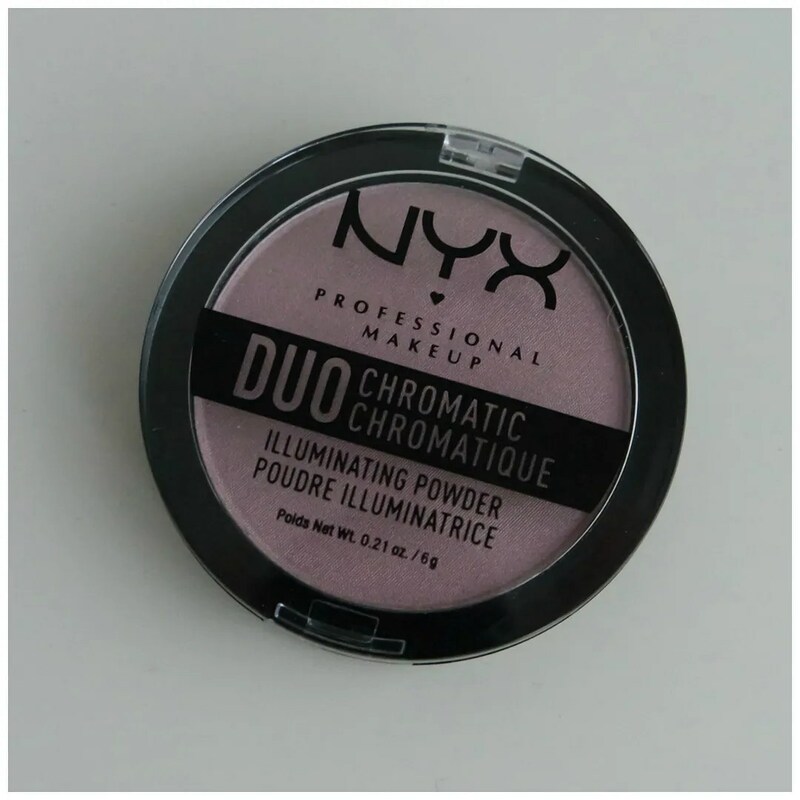 It all started with Becca Prismatic Amethyst and one possible, much more affordable dupe for that highlighter is the NYX Duochromatic highlighter in Lavender Steel. NYX products aren’t super cheap, but they are nicely priced for a drugstore product. These highlighters retail for €10.49, but they can be cheaper depending on where you get these. In the US, NYX is far more affordable than it is here, but I do like that NYX is quite easily accessible. If Lavender Steel is not your shade, then there are 4 other shades to choose from. In terms of packaging this highlighter is really not that special. In fact, the packaging feels a bit cheap. Even for the price point I think that the packaging could feel a little more sturdy. I have many cheaper products with better packaging. What I do appreciate is that the lid is clear, which means you can easily see what shade this highlighter has. This highlighter looks different depending on how the light hits it. If you see this without any bright lights on it, the back pigment looks quite purple grey, but the sheen is a bright lilac/ pink. So in some lights this doesn’t look too appealing. It also has quite a bit of back pigment to it. In a highlighter that usually isn’t a good sign. Lots of back pigment means that the product won’t do much highlighting as there is a clear stripe of color that ends up being applied. In the swatch this looks super pretty. 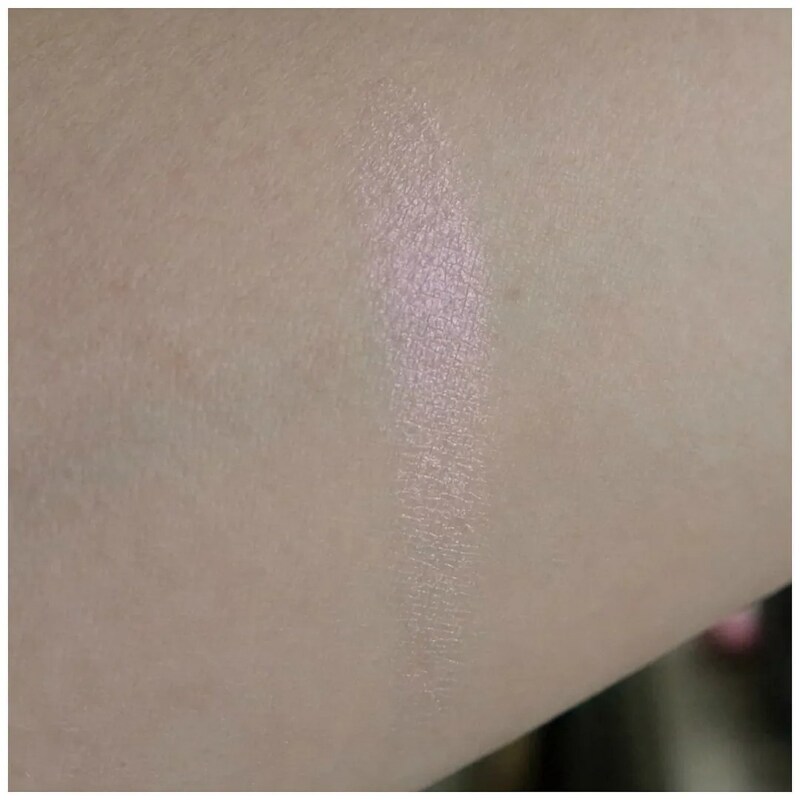 It has a true duochrome shine that pulls more lavender and then more pink depending on how the light hits it. 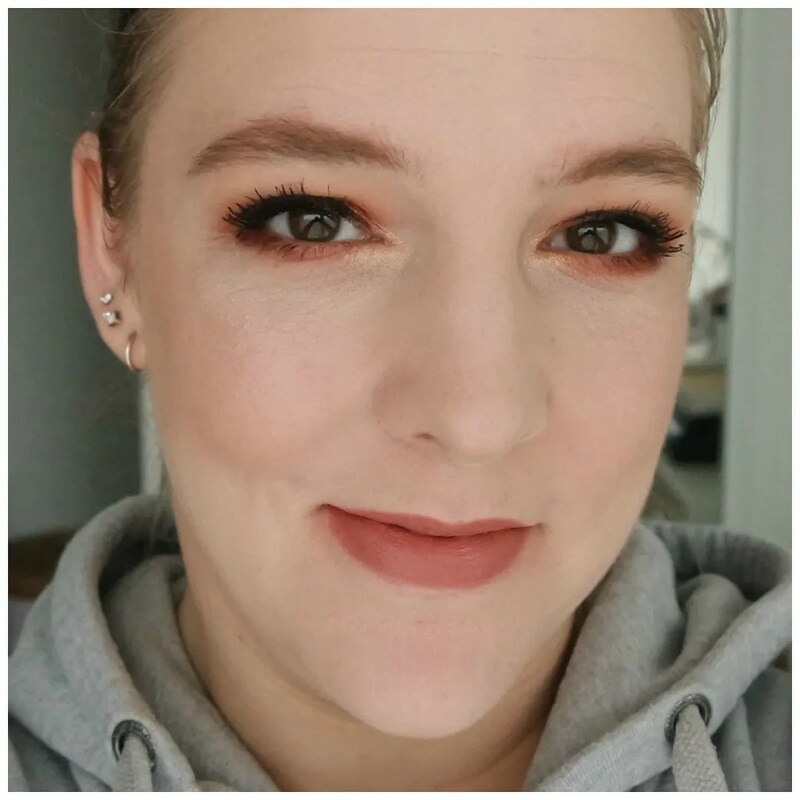 The product feels quite rich and creamy for a powder. It is almost a bit thick in texture. It does blend very easily, but it does look a little heavy in some places. 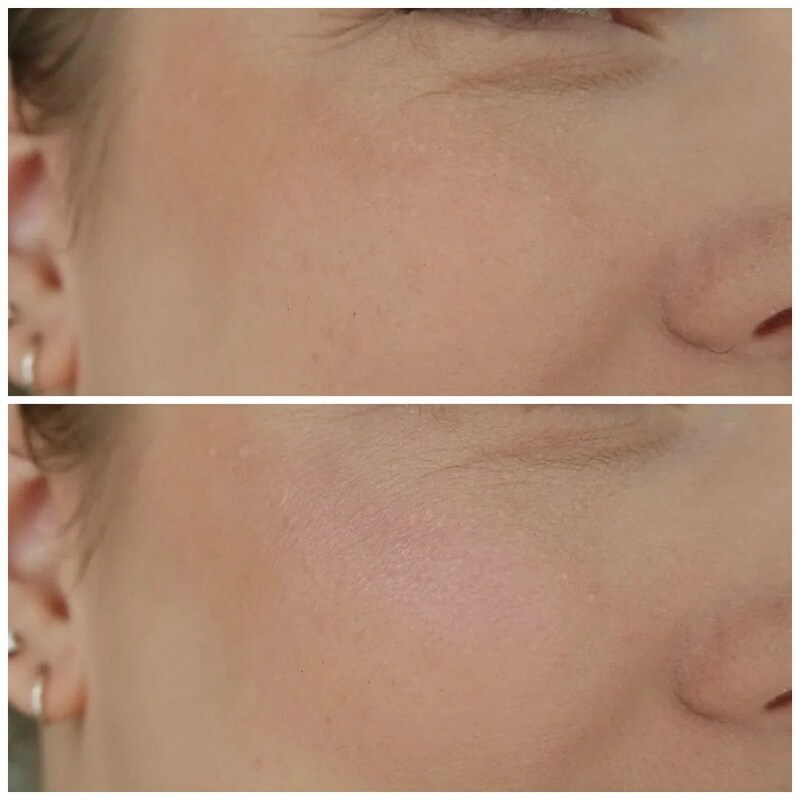 So this is what it looks like once applied to the face. It is pretty, but I do feel that the thick texture, combined with the back pigment makes this look too much like a stripe of color and not like a true highlighter. Because of the shade I do feel that this is nice and brightening on the face, but I had expected the sheen to be more intense on this. This is more like a very bright, light blush than an actual highlight I feel. 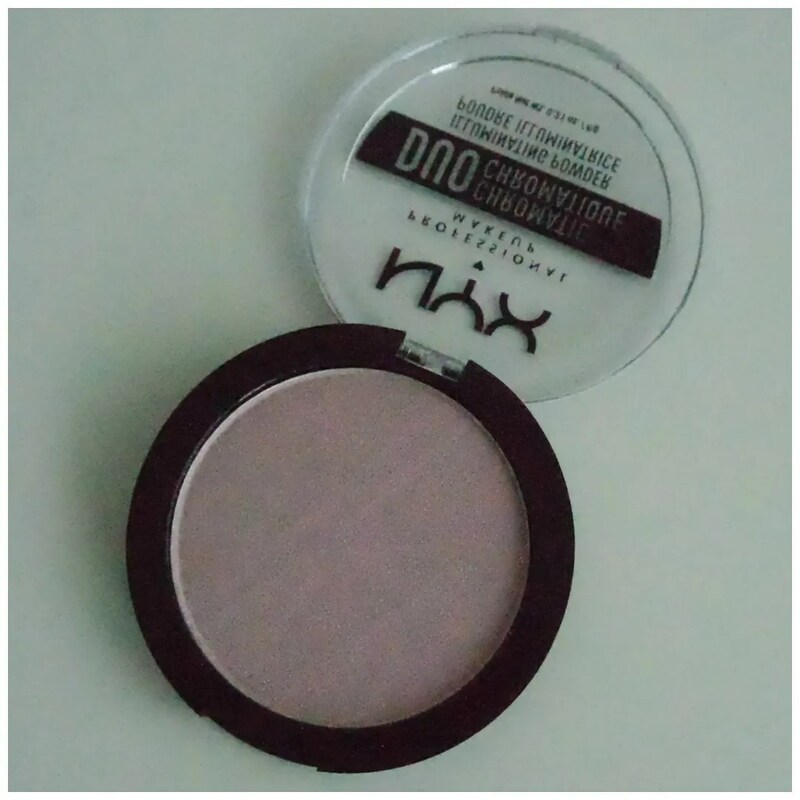 The NYX Duochromatic highlighter has lots of potential to be a great highlighter, but it is not ticking all the boxes for me. 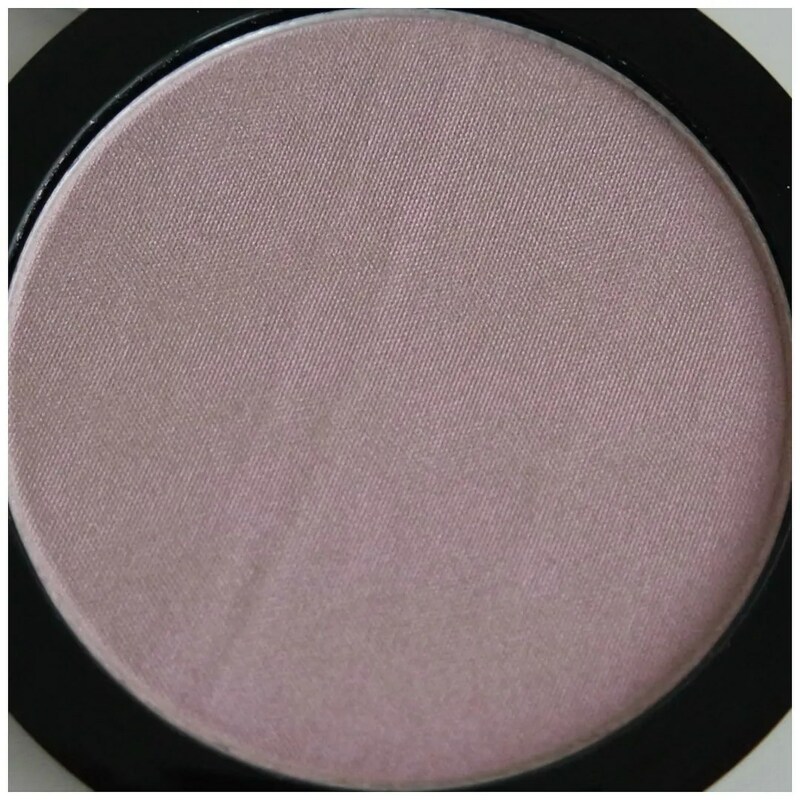 The shade is stunning, the sheen is truly duochromatic and it is a good shade dupe for the much more expensive Becca highlighter. However, the texture is a bit heavy and in terms of sheen, I feel this is a bit lacking. It has more color to it than I like in my highlighter. That being said, if you like this type of shade and do not or cannot spend the kind of money on a Becca highlight, than this is a good alternative. What do you think of NYX’s Lavender Steel highlighter? I love shades like this usually, but the texture isn’t my favorite.